In the days of Moses, after the Israelites were set free from their slavery, they became impatient with the prolonged absence of Moses as he went up the moutain to meet with the Almighty. To appease the carnal nature of the masses, and the desires of their flesh, Aaron, under pressure from the people, constructed an idol of gold for them to worship. Yet again we witness the once enslaved and now free masses (the Church/Ecclesia), have constructed a 'golden calf' as a means of worshipping the Most High, Almighty, Creator. Just as Moses ascended the 'mountain' and was absent for some time in the presence of the Almighty, so also has Y'Shua the Messiah ascended the mountain into the presence of the Most High. 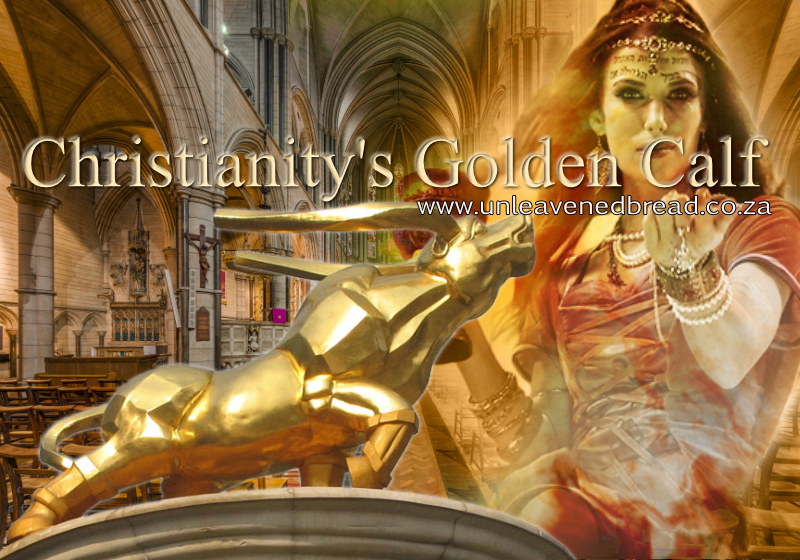 The masses of converts to christainity, have over the past two millenia, brought their most precious possessions ( their pagan beliefs and traditions) to the Priesthood who have in turn constructed an idolatrous religious system (golden calf). The first clue springing forth from this chapter in Revelation is the chapter number ‘13’, which signifies ‘rebellion’ and ‘lawlessness’ in Scripture. Examples: Nimrod was the 13th in Hams lineage. The ‘dragon’ i.e. 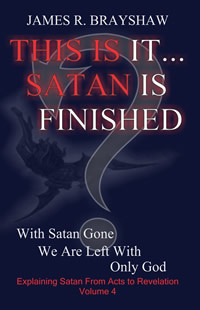 Satan, is mentioned 13 times in Revelation. This second beast emerges out of the earth. Earth is used in Scripture to symbolise the church/believers. The sea, on the other hand (out of which the first beast came), symbolises the unruly and unregenerate masses of the ungodly secular society. This 2nd beast has two horns. Horns symbolise ‘power’, ‘dominion’ and ‘authority’. They are used to represent both evil and good powers. Revelation5:6 indicates that Yahushua our Messiah has seven horns, denoting the fulness of power. This beasts horns are likened to a ‘lamb’. In other words this beast’s power and authority seems to be mild and gentle. The use of the reference to the lamb compares to the ‘Lamb of the Father’ – Messiah Yahushua who exemplifies righteousness and humility. It is evident that this verse is describing a ‘religious authority’ or ‘powerbase’ that only appears to be demonstrating the meek and innocent character of the Messiah. This beast represents the 'religious system' and not the people/believers who follow after it. They are the represented as the 'harlot' riding the first beast. It is my view that the two horns represent two streams of power/authority within this religious ‘beast’ system. I believe that these two horns represent the Catholic and Protestant religious organisations. The labelling as a ‘beast’ in this verse is highly derogatory and condemning. This beast however speaks as a dragon. ‘Dragon’ is another name for Satan who is the ‘father of lies’ and the ‘adversary’. The beasts speech betrays him as he speaks blasphemies, idolatries and evil false doctrines. To speak as Satan would also imply a spirit of arrogance, pride and self-confidence. This beast exercises all the power of the first beast and caused the earth and them which dwell therein to worship the first beast, whose deadly wound was healed. As mentioned earlier, the earth symbolises the ‘church’. This verse means that this beast uses ‘carnal’, ‘secular’ power and influence, through its teachings and doctrines, which causes all the ‘church’ members/followers to worship the first beast. This beast endorses and stimulates the same carnal interest as the first beast (possibly unintentionally) and pulls the believers away from worshipping the Almighty according to the Truth and righteousness of Scripture. One only has to witness all of the 'ungodly' and 'worldly' activities in mainstream religion today to see this in action. The church copies many secular activities in their attempt to 'worship'. The focus seems to be more on satisfying the lusts of the flesh - carnal desires. This second beast has served as an imposter who under the disguise of ‘godly’ religion, deceives the believing, vulnerable and naïve masses - leading them astray. The first beast on the other hand represents all worldly empires/kingdoms (secular powers) that are carnal and ungodly. 'And he causeth all, both small and great, rich and poor, free and bond, to receive a mark in their right hand, or in their foreheads'. This second religious ‘beast’ causes all of its followers to receive the ‘mark of the beast’. Did you get that? This phoney ‘wolf’ in ‘sheeps clothing’ has caused the uninformed masses to receive the mark of ‘unrighteousness’ - the 'mark of the beast'. The right hand and forehead means the ‘actions’ (right hand) and thoughts (forehead). Instead of having the ‘seal’ of the Father these followers will be branded as an advocate of the beast through association, and as a result, by their very own thoughts and deeds of unrighteousness. We must only follow the One who has the seven horns (Y'Shua) and we should want only the Father's name on our forheads. 4And I heard the number of them which were sealed: and there weres ealed an hundred and forty and four thousand of all the tribes of the children of Israel. This page is dedicated to bringing the Scriptural meaning back into these misleading and dangerous beliefs that underpin church doctrines. Without these four legs this 'beast' religious system will not stand. It is my hope that the content on this page will encourage the reader to continue researching the subject matter until the revelation of Truth is recieved. The pages of Scripture reveal the identities of two women as a comparative picture of the bride of Messiah Y'Shua and the rebellious 'harlot'. One is described as the 'undefiled', 'virgin' (the Bride in waiting), and the other is the adulterous harlot riding the Beast - mentioned in the book of Revelation. The 'church/ecclesia' in Scripture is descibed as a 'woman' because the 'woman/ecclesia' is meant to be an undefiled bride in waiting - for the return of the 'bridgroom' - Yahushua. It should also be understood that the 'woman' is a term used in Scripture to describe a collective grouping of people but also applies on an individual level i.e. to all believers on a personal level. Certain individuals seem to apply the 'Harlot' warning only to an institution but the term/concept is also applicable on an individual level. We need to be critical and cautious with our very own faith journey and not always point fingers at 'groups' or institutions. Many 'suitable' individuals will make up the 'Bride' group of Y'Shua, and many more people (believers) will be associated with the 'harlot' character. The word 'church' as read in Scripture is most often misleading and leads to misunderstanding. The correct word 'Ecclesia' is a word meaning 'called out ones'. Please read the article 'Church or Ecclessia' for clarity. We have also drifted so far from the Truth of Scripture that Christianity names their Messiah 'Jesus' instead of 'Yahushua' (Y'Shua for short) which means “Yah is our deliverer” in Hebrew. “JESUS” seems to convey “hail Zeus” in Greek, and “the horse” in Hebrew (he-soos). But Christians don't seem to be bothered by this. For a detailed analysis read this article. What this portion of scripture reveals to me is that although we may be able to identify the adulterous 'woman' (i.e.the idolatrous church/individuals), we may not judge her due to our own sinful lives. Y'Shua is also showing us that this is not the time for passing judgement, but he did nevertheless instruct her to 'sin no more'. He did not come 2000 years ago to judge but to set free. His next, soon coming, will be as Judge. I state this to show that although I recognise the error in the 'woman' (Church/Ecclessia) I do not stand in judgement but merely want to warn and direct individuals back to the Truth contained in the Word. I am not against any individual person at all but reject the institution of organised 'paganised', christian religion. I reject all of their doctrines and creeds which are mostly the 'traditions of men'. In Revelation 18:4 we are warned to 'come out of her'. It is really of no consequence to me what others want to believe but I have a heart and yearning for the Truth and would like to prompt others to search for themselves and seek the Father as the Teacher - such as He is. I am not aking you to follow me or my teachngs - seek the Father only. Use my material as a tool. I am not asking for your loyalty or your money, or even your support. Seek only the Truth and stop following the 'blind guides'. I have no hidden agenda. I only seek the truth. I have no 'donate' or 'paypal' button here. I don't sell books and dvds - I want nothing but to find and share Truth. I am sowing seed with this site, that's all. This 'harlot woman', as described in the book of Revelation, will remain for a time but will eventually be destroyed after the Two Witnesses bring the True Gospel to the world. In the meantime let those who desire to cleanse their garments find some Truth on this page. Although I offer teachings and videos from other teachers, I do not condone their broader beliefs as I have not studied their other material. I offer this content solely for the subject matter only and to stimulate your further study on the subject and nothing else. Most of these teachers do not support or appear to understand the error in all 'four legs', as I do. Some teachers seem to have a 'pet' subject and focus on it at the expense of learning further Truth. My advice to all who read here is to follow no man's teaching. Use the material only as a guide and through prayer, test all against the Word of the Almighty. I will populate this page with material under the four headers. These titles contain a link for quick access. There are many religious groups who teach against the 'Trinity' but hold to another erroneous doctrine called Modalism/Sebelliamism. Modalism, also called Sabellianism, is the unorthodox belief that God is one person who has revealed himself in three forms or modes in contrast to the Trinitarian doctrine where God is one being eternally existing in three persons. According to Modalism, during the incarnation, Jesus was simply God acting in one mode or role, and the Holy Spirit at Pentecost was God acting in a different mode. Thus, God does not exist as the Father, Son, and Holy Spirit at the same time. Rather, He is one person and has merely manifested himself in these three modes at various times. Modalism thus denies the basic distinctiveness and coexistence of the three persons of the Trinity. I reject this view of Modalism completely. I believe that our Messiah Y'Shua was a man, born of the seed of Joseph as his earthly father and Mary as his earthly mother. That is what this whole section is about i.e. to show from Scripture that our Almighty Father is 'Spirit' only and not a man. YHWH did not come down to earth as a man and die for our sins. Rather we see the 'image' of the Father in and through the life of a 'righteous man' - Y'Shua, who was called/chosen from before time to be the 'lamb of God'. His life is to be our example, to show that we too can 'overcome' this world. We are to take up our 'cross' and follow him - and crucify our flesh (carnality). The first Adam fell out of relationship with the Father because of his sin and brought death into existence for all that followed after him. We are reconnected to the Father as a result of the second Adam's (Messiah Y'Shua) sinless life. He has brought about life - eternal life, to those who believe. His life/death/ressurection to a spirit life (born again) has restored that which was broken. Y'Shua is our older brother - the 'firstborn', anointed to be King of Kings and Lord of Lords. He is the 'firstborn' of many sons. He sits at the 'right hand' (authority) of the Father. All authority has been given to him - for a season. He is the 'head' of the body ie. the 'firstborn' of the body/sons and has been given the 'firstborn' blessing - the throne. We now have 'the comforter' (the Power of the Almighty), to assist us with our journey to our promised land. We beleive what the Scripture states, which is that YHWH alone is One God and that there is none like Him (Isaiah 45:5). NO ONE is like Him, not even the 'Son of God' (our Messiah Y'Shua) and certainly not some imaginary supernatural, spiritual being called Satan - as taught in Christian doctrine. The poular 'church' teaching of the 'virgin birth' of our Messiah Y'shua is a total misunderstanding of what Scripture is actually stating. Belief in this erroneous 'virgin birth' teaching is also not required for one's salvation. Why all the fuss then on the birth. Does it have more to do with building on pagan myths of similar births and the formation of a fanatstic Christmas nativity story. I am currently compiling a document on this subject. I will include it as soon as it is finished. It is a very large and sensitive subject to cover. The links below are provided for there content pertaining to the 'Trinity' perspective. I do not endorse any of their broader beliefs of which I am not familiar. The mystery of the Trinity is the central doctrine of Catholic faith. Upon it are based all other teachings of the Church. Why do people continue to give their idea of ‘Jesus’ and ‘satan’ powers that they do not possess? The following video will provide an unbiased history of the Trinity Doctrine and will describe how this pagan interpretation developed into a Doctrine in the fourth century. The Trinity viewpoint was completely foreign to the first century believers/followers of the Messiah. The following video will expose the deceipt and error contained in the Trinity Doctrine. (Please note that I do not endorse any further beliefs/teachings of the Christadelphians). The links below are provided for there content pertaining to the One God (monotheism)perspective. I do not endorse any of their broader beliefs of which I am not familiar. The Words of the Almighty to Moses in Deuteronomy 18:18 were a prohecy of Y'Shua our Messiah - a man. Not of the Father Himself who would manifest in the flesh as some sort of son-god. This theological documentary, produced by Restoration Fellowship answers, very frankly, the difficult theological question: "Is Jesus of Nazareth Human or Divine?" Warning: Their birth understanding/teaching in part 2 is incorrect. A short background discussion on the Arian/Athanasius doctrinal battle in the 4th century. An excellent site containg a vast collection of teaching material on the subject of the Trinity. Take note however that we promote this site for the view of the Trinity only. We make no comment on any other beliefs promoted by this site. This is the website of Sir Anthony Buzzard. He has made many videos available on the subject of the Trinity and authored many books. The Doctrine of the Trinity is a worthwhile read. christianmonotheism.com exists in order to promote the fearless pursuit of truth concerning God and Jesus from a biblical and historical perspective. Christian monotheists (also called biblical unitarians) believe that Jesus must be taken seriously when he says that his Father is the only true God (John 17.3). This important work is a detailed biblical investigation of the relationship of Jesus to the one God of Israel. The authors challenge the notion that biblical monotheism is legitimately represented by a Trinitarian view of God and demonstrate that within the bounds of the canon of Scripture Jesus is confessed as Messiah, Son of God, but not God Himself. Later Christological developments beginning in the second century, and under the influence of pagan Gnosticism, misrepresented the biblical doctrine of God and Christ by altering the terms of the biblical presentation of the Father and the Son. This fateful development laid the foundation of a revised, unscriptural creed which needs to be challenged. 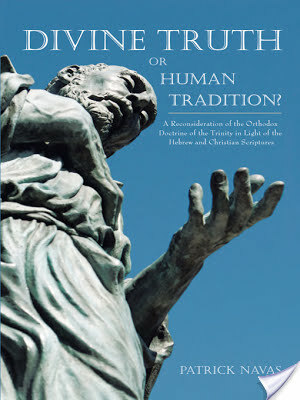 This book provides a definitive presentation of a Christology rooted in the Hebrew Bible and the New Testament. The authors present a sharply-argued appeal for an understanding of God and Jesus in the context of Christianity's original, apostolic, unitary monotheism. In Divine Truth or Human Tradition? (by Patrick Navas) the author critically examines the viewpoints and Scripture expositions of prominent evangelical scholars and apologists—including Dr. James R. White (author of The Forgotten Trinity), Dr. John MacArthur (President of The Master‟s Seminary), Wayne Grudem (author of the widely-read Systematic Theology), Robert Morey (author of The Trinity, Evidence and Issues), Robert L. Reymond (author of A New Systematic Theology of the Christian Faith), and others… According to what has long been considered mainstream Christian “orthodoxy,” the doctrine of the Trinity (the idea that the one God of the Bible is a singular being made up of three coequal and coeternal „persons‟) is not only central to the Christian faith, but even necessary for one to accept in order to be counted as a true Christian and be saved. Such a demand on a Christian‟s faith has come across as strange and perplexing to many, especially so in light of the fact pointed out by one respected Trinitarian: “[The Trinity] is not clearly or explicitly taught anywhere in Scripture, yet it is widely regarded as a central doctrine, indispensable to the Christian faith. 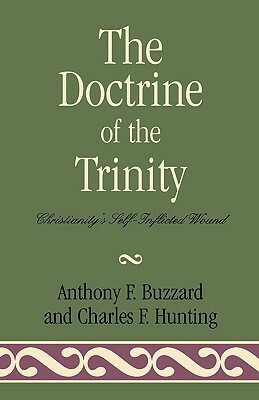 In this regard, it goes contrary to what is virtually an axiom [that is, a given, a self-evident truth] of biblical doctrine, namely, that there is a direct correlation between the scriptural clarity of a doctrine and its cruciality to the faith and life of the church.” (Millard J. Erickson, God in Three Persons, p. 11. Emphasis added) Understandably, this fact has raised questions in the minds of Christians and truth-seekers alike ever since the doctrine was first articulated in the late 4th century. Many Christians have wondered: How can a doctrine that is not clearly or explicitly taught in the Bible be necessary to accept in order to be a true practitioner of the Christian faith? Who or what is satan? Is it a supernatural, powerful fallen angel, in competion with the 'King of the Universe' for our souls - as most often described by church Pastors and teachers. Or is it as the Scriptures state - 'ha satan' in the Hebrew meaning 'the adversary'. The Truth on this one will really set you free. I thought for many years that there was this invisible beast (Satan) and his army of demons stalking me continuously. Forever striving to make me fall into sin and destroy me. The term 'ha satan' means 'the adversary' and is also refered to in Scripture with other names i.e. the devil,the serpent, the dragon etc. This refers to the disobedient, rebelious carnal spirit of fallen mankind. I acknowledge however that it may take the content of Jim's four books to provide sufficient evidence from Scripture to reveal this Truth. Most believers (myself included) have been decieved into believing that Satan is a supernatural, powerful 'godlike' being - at war with our Almighty Father. But the Father Himself declares in His Word that He alone is God and that there is none like Him. The Christian 'religious' teachings ('traditions of man') has created another 'god' through the erroneous teachings on Satan. When we come to the realisation that it is our very own spirit of rebellion and unrighteousness that is the 'ha satan' (the adversary to righteousness) then, and only then, can we begin to resist the devil and walk in Truth and light. We can stop blaming all the evil in the world on some external force and start evaluating our very own thoughts and deeds against the Word of YHWH. Y'Shua said to Peter in Matthew 16:23 'get thee behind me, Satan'. This was because the thoughts of Peter were carnal and not in alignment with the plan of the Father - which Y'Shua fully understood. The Truth will set you free from the fear of this 'supposed' evil exterior entity. 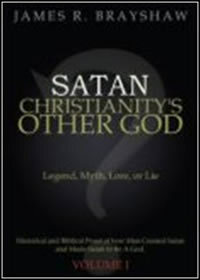 After all of my research into this subject of satan I can only highly recommend the books and teachings of Jim Brayshaw. He has studied the subject for many years and read probably all there is to read on the subject. He has, in my opinion, provided a thoroughly comprehensive set of convincing books covering all parameters of the subject, answering any questions that you may have. What If I Told You There Is No Satan...Would You Believe Me? How Could Satan Be a God? Could Satan Be Less Than You've Been Told? The case against Hell: Did you know that there is a solid scriptural case to be made against the idea of Hell? Many non-Christians have rejected the concept of Hell, but it may come as a surprise to learn that there is a growing number of Bible-believing Christians who also reject the notion-not in spite of Scripture but because of it! This short study is meant only to raise some questions and provide brief answers. For further study, please refer to the links at the end of the article. Popular myth : Hell is an established Biblical doctrine that is in the Bible from start to finish. This is not true! Two thirds of the Bible (the Old Testament) does not mention Hell at all. ("Sheol," the Old Testament word that is sometimes translated as Hell, only means "grave" by definition, and it is where everyone in the Old Testament went when they died--good or evil, Jew or Gentile). Thus the Old Testament does not contain the concept of Hell! If Hell is real, why didn't God make that warning plain right at the beginning of the Bible? God said the penalty for eating of the tree of Knowledge of Good and Evil was death- -not "eternal life" in fire and brimstone. If Hell is real, why wasn't Cain warned about it, or Sodom and Gomorrah , or any of those who committed the earliest recorded "sins?" If Hell is real why didn't Moses warn about this fate in the Ten Commandments or the Mosaic Covenant consisting of over 600 laws, ordinances, and warnings? The Mosaic Law simply stated blessings and cursing in this lifetime. If Hell is real, why are its roots in paganism, rather than the Bible? Many nations surrounding Israel in the Old Testament believed in Hell-like punishment in the afterlife, for they served bloodthirsty and evil "gods," while Israel simply taught the grave (sheol) and a hope of a resurrection. If Hell is real, why was the revelation of it first given to pagan nations, instead of God's covenant people? Did God expect Israel to learn about the afterlife from the Pagan Gentiles? If so, why did He repeatedly warn Israel to not learn of their ways? If Hell is real, why did God tell the Jews that burning their children alive in the fire to the false god Molech, (in the valley of Gehenna ) was so detestable to Him? God said that such a thing "never even entered His mind" (Jer. 32:35). How could God say such a thing to Israel , if He has plans to burn alive a good majority of His own creation in a spiritual and eternal Gehenna of His own making? Popular myth: Jesus spoke of Hell more than He did of Heaven. This is not true! Jesus warned the Jews many times of impending destruction, both nationally and individually. He used several different terms to refer to punishment/destruction, some of which were erroneously translated as the same word, "Hell" by Bible translators. We do not deny that God will indeed judge the whole world, nor do we wish to make light of His judgments. We are challenging the belief that His judgment on sin and unbelief is eternal torment/Hell and never-ending separation from God. Certainly, Jesus spent a lot of his ministry warning people to repent or reap the consequences, (particularly "Gehenna.") But could we be reading more into His warnings than He originally intended? If Hell is real, why were most of the warnings pertaining to punishment/Gehenna directed to Israel, particularly the Lord's own disciples as well as the Pharisees? The first great cluster of references to Gehenna, are found in the Sermon on the Mount (Mat 5:22, 29, 30), Jesus' great sermon to His disciples in which He warned that one was in danger of Gehenna for the likes of calling someone a fool. This is a far cry from our modern Evangelical interpretation that says not accepting Jesus as your Saviour is what sends someone to Hell. Are we perhaps missing the symbolism that Jesus originally intended? If Hell is real, aren't we taking verses out of context when we warn non-Jewish sinners who are not part of the Mosaic covenant God made with the nation of Israel about consequences for sin which have nothing to do with them since they are not under that covenant? If the Jews did not understand "Gehenna" as a symbol of everlasting torture, but rather as a place of shame, filth, and defilement (where Israel participated in the grossest form of idol worship), why does modern theology ascribe more to the word than the original meaning did? The teaching of Gehenna has evolved in Jewish teachings to include punishment in the afterlife; but even today, Gehenna still does not mean "endless" punishment to the Jews. If Hell is real how could the Apostle Paul (who was especially commissioned by God to preach the gospel to the nations) say that he had declared the entire counsel of God (Acts 20:27), when indeed he never warned of "Hell" in any of his letters? If Hell is real, wouldn't Paul, of all people, warn of it repeatedly? ".Just as the result of one trespass (Adam's) was condemnation for all men , so also the result of one act of righteousness (Christ's) was justification that brings life for all men . For just as through the disobedience of the one man the many were made sinners, so also through the obedience of the one man the many will be made righteous. (Romans 5:18,19). "For to this end we both labor and suffer reproach, because we trust in the living God, who is the Savior of all men, especially of those who believe" (1 Timothy 4:10). If Hell is real, why is it that the only time Paul even mentioned "Hell" in any of his epistles, was declare the triumph of Christ over it? (1 Corinthians 15:55). The word "Grave" in the passage is the Greek word "Hades." If Hell is real, why does the word itself come from the Teutonic "Hele" (goddess of the underworld "Hell" of northern Europe ). The description of this ancient mythological place has very little resemblance anymore to the modern Christian image of Hell. See any encyclopaedia or dictionary for the origin of the word. FACT: The apocryphal books of the intertestimental period had a tremendous impact on the Jews in the time of Christ. It is from these books, especially the book of Enoch, that many of the Jewish myths and fables concerning Hell, heaven, demons and angels and many other fables first became a part of Judaism and from there became a part of Christianity. The myths and fables of these books came from Pagan influences (namely Zoroastrianism), during and after the Babylonian captivity of Israel . In fact, Zoroastrianism looks more like modern Christianity in many ways than ancient Judiasm does! 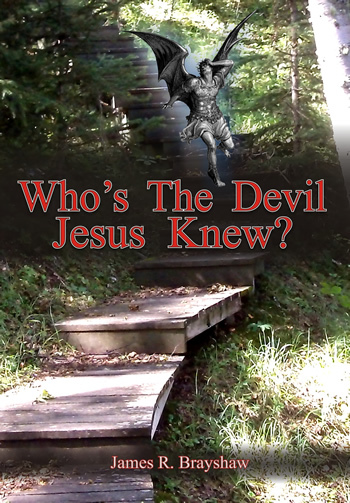 Popular myth: Jesus came to save the sinner from his destination of everlasting Hell. Not exactly true! Hell was never a place that the Jews were hoping to be saved from, since they didn't even believe in it! But they did need to be saved from their sins and consequences of them; namely death. Jesus came as the Anointed One to fulfill all of God's plan for the earth-that through Him might come the salvation, deliverance of sin, peace, kingdom of God and all that God had promised through the Old Testament scriptures. There is much we can say here, but for the sake of brevity we will limit our points to a few key passages. Please take the time to look up the verses that are referenced. If Hell is real, why does Psalm 22 (one of the most prophetic passages in scripture concerning the Messiah) promise that because of the cross, " All the ends of the earth will remember and turn to the LORD , and all the families of the nations will worship before You. For the kingdom is the LORD'S and He rules over the nations. All the prosperous of the earth will eat and worship, all those who go down to the dust will bow before Him, even he who cannot keep his soul alive " (Psalm 22:27-29 NASB). If Hell is real, did Jesus fail in His mission? He said, "I did not come to judge the world, but to save the world" (John 12:47). If Hell is real and eternal, how can all things be subdued unto Christ? (1 Corinthians 15:28, Philippians 3:21, Hebrews 2:8). If Hell is real and eternal, how can it be that the scriptures promise that every knee will bow and every tongue confess that Jesus Christ is Lord? (Isaiah 45:23, Romans 14:11, Philippians 2:10). If Hell is real and eternal, how will Jesus ever see the travail of His soul and be satisfied (Isaiah 53:11)? If the traditional understanding is correct, most of those He came to save will never experience His salvation. Do we believe that this would be satisfying to Jesus? If Hell is real, and God sent Jesus to save people from it, can we really say that the will and pleasure of God has prospered in His hand, since, according to traditional theology, only a few will ever be saved? (Isaiah 53:10, and Isaiah 55:11). If Hell is real, and the devil is the one who deceives people into going there, isn't he ultimately the winner in the war for souls? After all, traditional interpretation of the Bible says that more people will end up in Hell than in Heaven. If so, how can we really call Satan the defeated enemy and Christ the victor? If Hell is eternal, how can the increase of Christ's government and of peace have no end? (Isaiah 9:7). FACT: The term "saved" has evolved in Christianity to mean something different than it did to the original readers and hearers of Scripture. The Greek words, "sozo" and "soteria" embrace the broad meaning of being rescued, delivered, healed and saved from danger. These words were applied in a variety of ways throughout the New Testament. There is much more to the salvation of Christ than most Christians know. Sadly, much of the church is robbed of fullness of their salvation by embracing a limited and futuristic view of what it actually means-- (i.e. "going to Heaven when they die"). Popular Myth: "Eternity" is a theme that is throughout the entire Bible, including eternal punishment. Not exactly true! We are not denying that the New Testament is full of warnings of judgment, and that the words, "everlasting" and "eternal" appear often in most translations. However, a careful study of the words that are translated to mean forever or everlasting, will prove that they have been mistranslated. The question is not whether or not God will punish sin and rebellion, but rather how He does it, and for what purpose and how long the correc5ion lasts. If Hell is forever, why is the Hebrew word Olam (which has been translated to mean "eternal/forever") used in so many verses where it clearly does not mean "everlasting? A few examples: "Everlasting" is applied to the priesthood of Aaron; to the statutes of Moses; to the mountains and hills; and to the doors of the Jewish temple, to the length of time that reproach and shame should be upon the Jews. The word "forever" is applied to the duration of man's earthly existence; to the time a child was to abide in the temple; to the continuance of Gehazi's leprosy; to the to the duration of a king's life; to the time a servant was to abide with his master; to the duration of the Jewish temple; to the time David was to be king over Israel; to the throne of Solomon; to the stones that were set up at Jordan; and to the time Jonah was in the fish's belly. It should be obvious from the context that olam merely referred to an indefinite period of time--not forever! Aion and related words ( aionian and aionios ) are the Greek equivalents of olam . Aion, literally means "age," from which we get our English word, "eon." Aion/age/eon, is merely a period of time. "Aionian and Aionios" are words that refer to the ages (plural) or pertaining to the ages. As long as time is being measured, it cannot be referring to eternity, which is a realm beyond the measurement of time. If "Hell" is forever, why is it described by words that pertain to the ages? If the Greek word Aion and its derivatives mean eternal as some Bible scholars insist, why did contemporary Greek usage of it, at the time the New Testament was written, not carry with it the idea of endless eternity? (Works by Plato, Aristotle, Homer, Hippocrates and many others use these words in a limited, not an eternal sense). FACT: Some would argue that if aionian and related words do not mean eternal, then God cannot be eternal, for these words also describe Him. To this we say, that just because God is described as the God of the eons, does not mean that He is not the God who also transcends the eons. In the same way, just because He is called the God of Israel , does not also mean that He is not the God of all the other nations. Also, there are other Greek words used to refer to the unending power and life of God. They are, aptharsia/apthartos, which means imperishableness and immortality; amarantinos/amarantos which mean unfading; and akatalytos , which means indestructable. They are usually translated as immortal, or incorruptible. Please refer to the following verses for reference: Hebrews 7:15-16, 1 Peter 1:3-4, 1 Peter 5:4, 1 Timothy 1:17, Romans 1:23, 1 Corinthians 9:25, 1 Corinthians 15:51-54, Romans 2:7, 1 Corinthians 15:42, 2 Timothy 1:10, and 1 Timothy 6:16. Popular Myth: One's fate is sealed after death. If this is true, how do we deal with the following scriptures that indicate the opposite? "Like water spilled on the ground, which cannot be recovered, so we must die. But God does not take away life; instead, He devises ways so that a banished person may not remain estranged from him" (2 Samuel 14:14). "See now that I, even I, am He, and there is no god with me: I kill, and I make alive; I wound, and I heal: neither is there any that can deliver out of My hand" (Deuteronomy 32:39). "I will ransom them from the power of the grave (Sheol/Hell); I will redeem them from death. O Death, I will be your plagues! O Grave (Sheol/Hell), I will be your destruction!" (Hosea 13:11-14). "Settle matters quickly with your adversary who is taking you to court. Do it while you are still with him on the way, or he may hand you over to the judge, and the judge may hand you over to the officer, and you may be thrown into prison. I tell you the truth, you will not get out until you have paid the last penny" (Matthew 5:25-26). If Hell lasts forever, why the Psalmist confidently speak again and again about being rescued from it (sheol)? 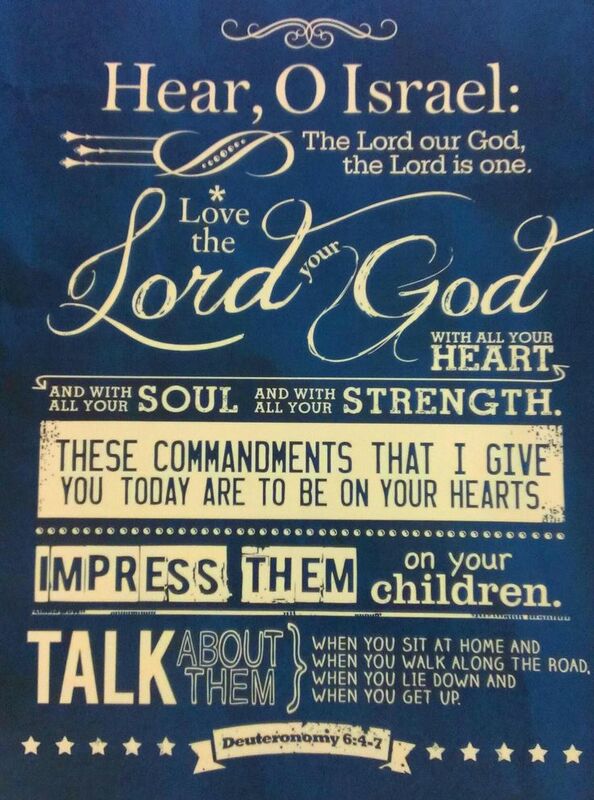 (Psalms 16:10, Psalms 30:2-3, Psalm 49:15, Psalms 86:13, Psalms 116:3-8, Psalms 139:8). Popular myth: Universalism was recently introduced to Christianity in the 1800's as the church became more liberal and modern and began to abandon their true biblical foundation. This is not true! A belief in the restitution of all things was a standard view in the early church, held by the majority of early Christians. It has also been held by a minority throughout all of church history even during the Dark Ages. If Hell was real, why do neither the Apostles Creed, nor the Nicean Creed, two foundational "doctrinal statements" for the early church, contain the concept of Hell? If Hell was real, since most historians would acknowledge today that Origen was perhaps the most outstanding example of universalism in the church, when Methodius, Eusibius, Pamphilus, Marcellus, Eustathius, and Jerome made their lists of Origen's heresies, why wasn't universalism among them? If Hell was real and found in the original Greek manuscripts of the Bible, why is it that it was primarily those church leaders who either couldn't read Greek (For example, Minucius Felix), or hated Greek as in the case of Augustine, that the doctrine of Hell was advocated? Those early church leaders familiar with the Greek and Hebrew (the original languages of the Bible) saw universal salvation in those texts. Those who advocated Hell got it from the Latin, not from the original Greek and Hebrew. Who would more likely be correct--those who could read the original languages of the Bible or those who read a Latin translation made by one man (Jerome)? *The historical facts documented in the above section can all be verified through the books, "Universalism, the Prevailing Doctrine of the Early Church for the First 500 Years" by J.W. Hanson and "The History of Opinions on the Scriptural Doctrine of Retribution" by Edward Beecher. Popular myth: The justice of God demands a place like Hell in which the wicked shall be eternally punished for their sins. Not true! The justice of God demanded a perfect sacrifice for sin, and that man was Christ Jesus. The justice of God will certainly come to every person, and God may deal severely with our sins as He subdues and gathers all things to Christ, but to punish people endlessly for crimes committed in a short human lifespan defies all logic and justice. How is it just to have unending punishment for offenses that have limits? If Hell is real and all things were made for God's pleasure (Rev. 4:11), is it conceivable that God would derive pleasure from seeing those He created endlessly tortured? God says He takes no pleasure in the death of the wicked (Ez. 33:11). If Hell is real, since some people receive many chances to "get saved," some receive only a few chances and billions have never even received one chance, does that make God a respecter of persons? (Acts 10:34, James 3:17). After all, billions of people have been born and died on this earth without a chance to ever hear the name of Jesus, the "only name under heaven by which men may be saved." If there is a Hell and all who have sinned are destined to go there (which is everyone) unless they figure out how to avoid it, does that not consign all aborted babies and non-Christian children to Hell? (While some denominations teach a so-called "age of accountability," it is not found anywhere in the Bible. It is just some people's way of trying to make God more humane than the eternal torment teaching makes Him out to be). If Hell is real, why does the human spirit writhe under the horror of wars and prison camps, torture chambers and dictators? How can we judge these things as wrong, if Hell is real? After all, Hell far eclipses these earthly torments which came from the most sinful and beastly part of humanity. We say God is grieved by man's violence and disregard for life, and yet believe that He Himself enforces the same principles for all eternity! If Hell is real, how would endless misery benefit the Almighty, as the inflictor? How would endless misery benefit the saints, as spectators? How would endless misery benefit the sinner, as the sufferer? FACT: While the church has gotten used to thinking of God as Someone who was forced to design a grandiose punishment called Hell, and against His own will sends the majority of His creation there, this concept of a God "who did the best He could" is totally against the Scriptural view of a God who is absolutely sovereign, powerful, all-wise and all-victorious. He never had to come up with a plan B or C, for Jesus is the Lamb slain from the foundation of the world. It is time to give Him the glory He deserves for our God is truly awesome and wonderful far beyond the limited, and man-centred views of Him! Beloved, what is the "lens" through which you are interpreting the Bible? Traditional doctrines teach us to interpret the "victorious" scriptures in the light of the "judgment" scriptures. But what if God wants us to see it the other way around? What if we are to interpret the "judgment" scriptures in the light of the "victorious" scriptures? Is not Christ's victory the greatest revelation in the Bible? Standing on this highest peak-that is, the finished work of the cross, causes us to see a much larger and far more beautiful panoramic view of God's plan throughout the ages. We do not throw out one set of Scriptures in favour of another. Rather, we seek to harmonize them. For man shall live by every word that proceeds from the mouth of God. In the time of Christ, most of Israel completely missed the Word of God when He was in their midst. They were too busy with their nose in the book, to perceive the Word Himself as He came and walked among them! Many Jews were afraid to believe in Jesus, since the majority of their leaders (Scribes, Pharisees, Sadducees, and Priests etc) who knew the scriptures better than they did, were convinced that He was not the Messiah. In the early days of the church, faith in Jesus Christ was heresy and to admit faith in Him was basically asking for scorn and rejection. Modern Christians point the finger at Israel of old, not realizing that we are following in their footsteps today. Most of us play it safe, siding with the denomination or movement that we happen to be a part of. While there is wisdom in honouring our spiritual fathers, we can never allow them to take the place of the Holy Spirit teaching us in our own lives. It is time to stop skipping the parts of the Bible that do not fit in with our theology. And if, like the religious leaders of Jesus' day, our theology is not big enough to hold the entire counsel of Scripture, perhaps it is time to expand--lest we once again miss God! And so we ask you again, beloved Christian, to ask yourself. If the traditional teaching of Hell is real.. When will the poor of the earth be avenged and comforted by God? (Psalm 113:7, Psalm 140:12, Proverbs 14:31, Proverbs 19:17, Proverbs 31:9, Isaiah 11:4, Isaiah 61:1, Jeremiah 22:16 etc.) (Bear in mind that most of the poor of the earth throughout history have not had a chance to accept Jesus as their saviour). When shall it come to pass that: "On this mountain the LORD Almighty will prepare a feast of rich food for all peoples, a banquet of aged wine- the best of meats and the finest of wines. On this mountain he will destroy the shroud that enfolds all peoples, the sheet that covers all nations; he will swallow up death forever. The Sovereign LORD will wipe away the tears from all faces; he will remove the disgrace of his people from all the earth. The LORD has spoken" (Isaiah 26:6-8). How can the world be reconciled to God? (2 Corinthians 5:19, Romans 11:5, Romans 5:10). How can the most often-repeated Biblical description of God be true? "His mercy endures forever" (literally, "His mercy/loving kindness endures for the ages"). Certainly, as long as there are ages, and people in need of mercy, God's mercy will endure. If Hell is real, can you honestly rejoice in the victory, love, and wisdom of God, knowing that somewhere in His beautiful creation there will always be a black and stinking hell-hole crammed full of tortured souls who have no chance for relief or forgiveness--or even death? Even if there was only one person left in such a state, how could all of Heaven rejoice for all eternity knowing that there was still one soul who had not been touched by the victory of Christ and was suffering alone? Is it good to desire all men to be saved? "This is good and acceptable in the sight of God our Saviour Who desires all men to be saved and to come to the knowledge of the truth." (1 Tim.2:3,4).
. Do you ardently desire the salvation of all men?
. Would God require us to pray for all men, and to pray in faith, unless He intends all men should be saved?
. If you believe endless misery to be the truth of God, why should you desire and pray that it may prove false? Some of these questions were taken from a much larger list compiled in an article entitled Is Salvation a Deliverance From Hell or Eternal Death? " by Gary Amirault . ".And for this we labour and strive, that we have put our hope in the living God, Who is the Saviour of all men, and especially of those who believe" (1 Timothy 4:10). #6 The Gates of Hell Will Not Prevail by Gary Amirault and Tony Hinkle (Proves many Bibles do NOT contain Hell or "everlasting punishment."